Seasonal confusion has reached Hurst. 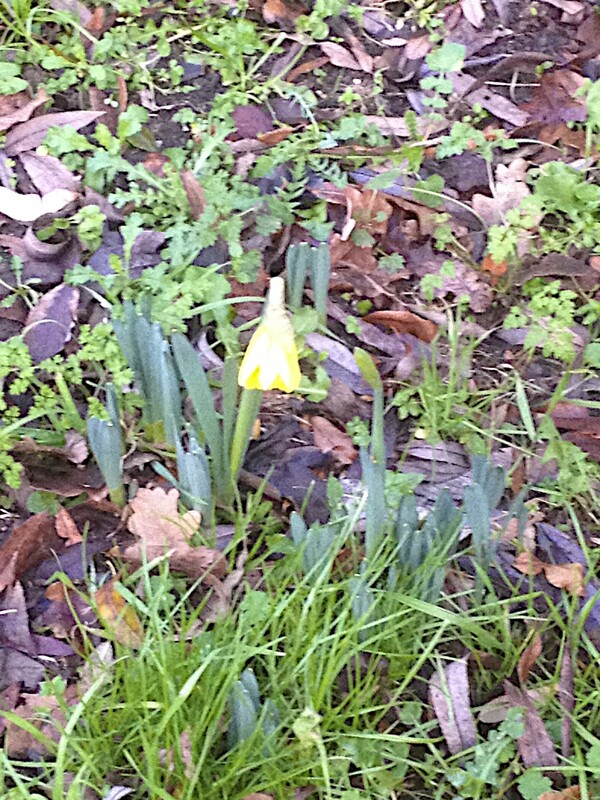 Spotted this daft daff blooming in the verge on my walk this afternoon. Never known Spring to arrive pre Christmas before! The Smart One reaches double digits this week. As usual he’s ahead of himself – teenage behaviour rules. Spends all his time in his room which he refuses to tidy (except we played the trump card this weekend; no tidy up = no birthday presents). Unsurprisingly, the trump card won. Daisy and I are sleeping in the car park because the decorations are up in the house and with the xmas tree looming over the sofa bed it’s a tad claustrophobic for me and a huge temptation for the pup. We have decamped to R0X1 and killed 2 sweet little birdies by solving the heating quandary as well!! Daisy, however isn’t impressed by the lack of carpet … she’ll be even less impressed by her first haircut on Wednesday! I’m going to take a blogging break for a couple of weeks dear readers, so will sign off by wishing my fellow Motorhomers (and one Narrowboater) safe travelling. Hope all your sites are level and locks full in 2015! Have a peaceful and happy Yuletide and New Year everyone and may all your needs be met. Finally I would like to share a New Year Resolution I have not broken since I made it about ten years ago – never to make another New Year resolution! Happy Holidays, Maggie! “see” you in the new year!